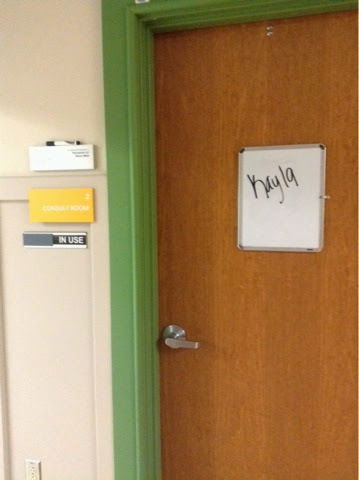 Around 7:30 a.m., Kayla went into surgery. Before going in, the anesthesiologist gave her some anti-anxiety meds. Chris and I have her hugs and kisses, then we sat in the waiting room. 7:30 - Kayla went into surgery and they started prepping her and connecting her to everything. 9:00 - The surgery has started. They are working on getting to the heart and putting her on bypass. 10:00 - Kayla is on bypass now and they've started the procedure. They will be using a size 18 gortex tube. 11:05: The rerouting around Kayla's heart has been finished. They're going to give her an echo to make sure her heart is functioning the way it should. There's been some minor bleeding, but she hasn't had to have a transfusion. They will still monitor the bleeding from her heart for a while. They had to use a pacemaker to get her heart back to a normal rhythm, but that only took a few minutes. 11:55 - Everything has gone great so far. They are closing up her chest and sewing it back up. She hasn't had any additional bleeding. They should wake her up and put her in a recovery room in about 45 minutes. 1:05 - The surgeon came and told us she is doing well. The surgery is all done and Kayla is recovering now. A social worker will come get us to see her in about 45 minutes. We will be allowed to see her for 10 minutes every hour.